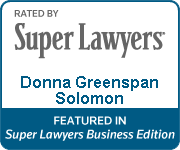 Donna Greenspan Solomon is a Certified Circuit, Family, and Appellate Mediator. Donna offers mediation services only to attorney-represented parties. First, Donna is board certified by The Florida Bar as both an Appellate Specialist and a Business Litigator. 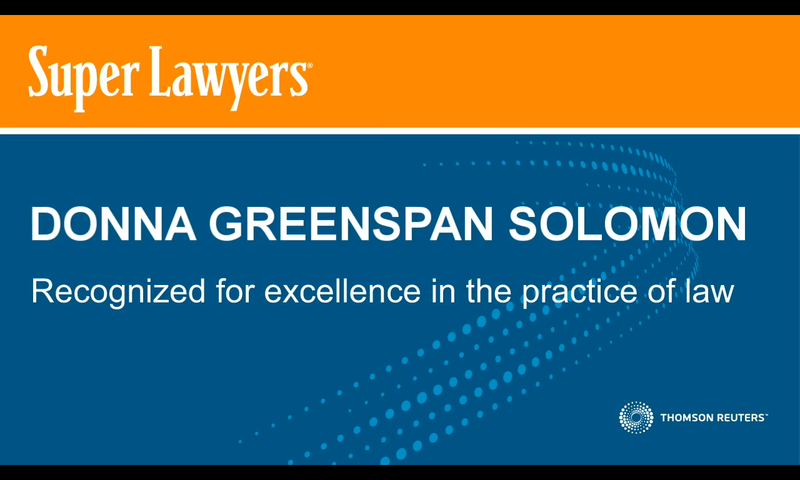 While just six percent of eligible Florida Bar members have earned board certification in one or more specialty areas, Donna is one of only three attorneys certified in both appellate practice and business litigation. Second, Donna is a former Certified Public Accountant with an MBA in Finance. As an experienced commercial litigator, Donna understands the importance of using a mediator who understands the applicable substantive area of the law. Donna has a depth of experience in business-related litigation, including insurance coverage, real estate and other contract disputes. Donna does not see her mediator role as simply a messenger to carry offers back and forth. Donna models herself on the kind of proactive mediator that she wants as a litigator herself – someone that can understand and get to the heart of the issues, is pragmatic, persistent, patient and can deal effectively with sensitive issues and clients.